Sitting shoulder to shoulder with hundreds of other people can make you frustrated and tired. Having access to a members-only lounge might sound like just what the doctor ordered. At $50 or more a visit, though, you probably pass on the opportunity. Especially if you travel often. Flying is expensive enough as it is. If you do travel frequently, we suggest you consider the benefits of the Priority Pass. Read on for everything you need to know about this program. Priority Pass is the largest independent airport lounge network in the world. A membership provides you with access to more than 1,000 airport lounges in over 500 cities around the world. Priority Pass does not operate any of the lounges. They just provide the access to the lounges via their membership program. So, for example, the Alaska Lounge in LAX is operated by Alaska Airlines. It depends on which lounges choose to participate in this program. New ones are always joining. 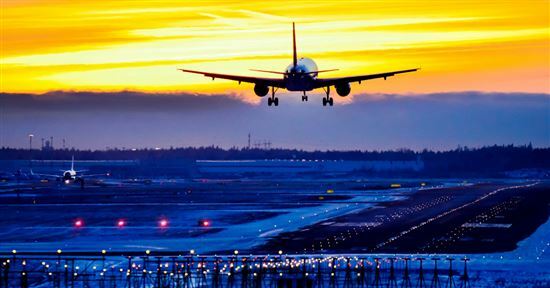 Tip: Before you purchase, check out the list of participating airports. The most popular in the U.S. include Chicago, Atlanta, Los Angeles, and JFK. There are also hundreds located in other countries. Access to any of the Priority Pass lounges around the world, no matter which airline you're flying. A quieter place to rest during a layover or while waiting for your flight. A quiet space to conduct business. Many lounges offer computer terminals and conference rooms for your use. The good thing about this membership is that you can enter a lounge no matter which airline you're flying. 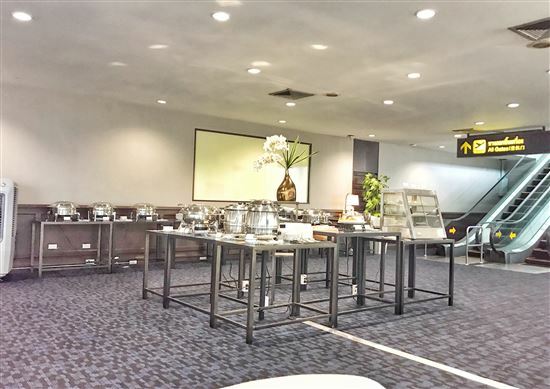 Most lounges are restricted only to those with a boarding pass on that specific airline. But with this, you can enter any lounge within the Priority Pass network. Some restrictions apply. 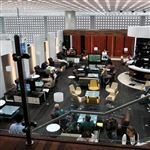 The downside is that there are not a lot of Priority Pass lounges in the U.S. At the time of this writing, there were only 50 lounges in 28 airports in the U.S. with Priority Pass lounges. But if you travel internationally often, you'll mostly likely find a lounge in those airports. Lounge updates can be found on the Priority Pass website here. Also, all lounges are not created equal. We recommend performing a quick search of the airports you frequent online. Read about the lounges and their available amenities. Some are top notch, while others leave a lot to be desired. This can help you decide if the membership is worth it for you. Another factor to consider is the growing popularity of Priority Pass. It is not as exclusive as you think anymore. There many be time restrictions due to capacity restrictions between the busiest hours of the day at certain lounges. Tip: Download and use the app Lounge Buddy to find Priority Pass lounges. Standard ($99 per year): With this membership, you still have to pay $27 per visit to a Priority Pass lounge. Any guests will also cost $27 per visit. Standard Plus ($249 per year): While it is $150 more, you receive 10 free visits per year for yourself. After your 10th visit, you pay the $27 per visit. Guests are still $27 each. Prestige ($399 per year): This membership provides unlimited access to the Priority Pass lounges for yourself. Guests are still $27 each. When you sign up for Priority Pass membership, you save a credit card on file. Any fees are automatically charged to your card. We've traveled all over the world with our daughter since she was 2 months old, and it's so nice to have a quiet place to take her to relax. The lounges have come in handy during delayed flights or long connections. Once during a flight from San Francisco to Johannesburg, we were able to go to a lounge in London and shower before our next flight after our daughter had a diaper blow-out (the worst while traveling). It's also a nice place to sit and feed your baby and relax. The seats are comfy, and they have tons of snacks for them once your kids are older. Now you must determine if the cost is worth it. Right off the bat, if you only travel once or twice a year, it's not worth it. Two visits for just yourself without the Pass would cost around $100. But the basic membership itself is $99 plus $27 per visit. So two trips would cost $153, which is more than paying for access on its own. But if you travel with companions, this number changes. You only pay the $99 membership for one person. You can then bring guests with you at $27 per person. 3 total travelers for 2 trips make the Pass worth it. Without membership: 3 travelers would be $50 x 3 = $150. 2 trips would cost $300 total. With basic membership: 3 travelers at $27 each would be $27 x 3 = $81. 2 trips = $162. That plus the $99 membership fee = $261 total. Without membership: 5 visits at $50 each would be 5 x $50 = $250. With basic membership: Membership fee plus 5 visits at $27 each would be $99 + ($27 x 5) = $234. You would save $16. The savings increase with each visit. If you travel more than 5 times per year, consider upgrading to the Standard Plus membership. The fee is $249 for a year and you can enjoy up to 10 free visits to the lounge ($500 value). 6 visits on the Standard Plus membership would be worth it. Without membership: 6 visits at $50 each would be $300. With Plus membership: $249 for a year for up to 10 free visits. Of course, if you travel more than you stay at home, you'll find the Prestige membership well worth the $399. 9 visits would more than justify the fee. But wait! If you're considering spending that much on the Prestige membership for the lounge access, think about whether it's better value to just pay for a travel rewards card that includes Priority Pass access as one of the benefits. Read on for more. What Is Priority Pass Select? Some prestige travel credit cards offer complimentary Priority Pass membership. This is called Priority Pass Select (super confusing, we know). You only receive this benefit with certain cards. Priority Pass Select basically gives you the same level of access as the Prestige membership (so, $399 value). You get unlimited complimentary access into Priority Pass lounges. Some cards also give this benefit to authorized users. And some cards allow guest access for no extra charge, which makes it even better than Prestige. Tip: Read the fine print carefully. 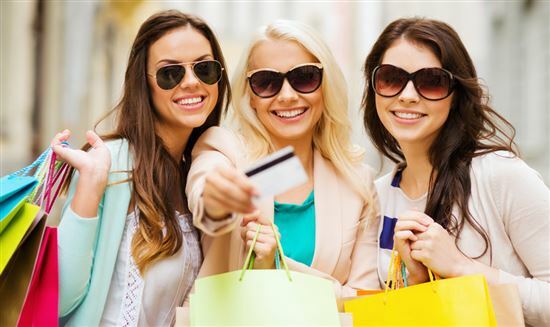 Not all credit card benefits offer the membership for you and your guests. Many offer them just for the cardholder. The guests may still cost you $27 each. You won't know this until you receive your credit card bill, though. 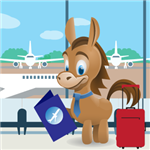 The Platinum Card and Business Platinum from American Express, a CreditDonkey partner: The primary cardholder get Priority Pass Select membership. You may bring in two guests for no charge. Additional guests however, are $27 each. These cards also include access to several additional lounge networks. Besides Priority Select, you also get access into Delta Sky Clubs, Airspace lounges, American Express International lounges, and the ultra-luxe Centurion lounges. Please note, The Platinum card also allows you to add free Additional Gold Card Members. This is different from additional Platinum members (which you must pay to add). Additional Gold Card Members are not eligible for membership. Chase Sapphire Reserve ($450 annual fee): You also get Priority Pass Select membership for both the cardholder and any authorized users. You may bring in 2 guests with you for no charge. Additional guests are $27 each. Citi Prestige ($495 annual fee): You get complimentary access into Priority Pass lounges for you and your immediate family members OR up to two guests. Additional guests are $27 each. Authorized users also get a Priority Pass Select membership. Ritz Carlton Rewards Credit Card ($450 annual fee) from Chase: You get a complimentary Priority Pass Select membership for the cardholder and authorized users (and it's free to add authorized users). You also get unlimited complimentary guest access, but again, the individual lounge has the final decision. Hilton Honors Ascend: You receive 10 complimentary lounge visits every calendar year. The annual fee on this card is less than the others on the list. If you get Priority Pass Select through your new credit card, make sure you activate your membership. It doesn't automatically activate with the approval of your application. You must go online and select the membership. The credit card company will then mail you a copy of your card. You need this card for access to the lounges. Allow at least 2 weeks to receive your card. Tip: There's an app for that. Some credit card companies have an app with digital access to your Priority Pass Select card. If you travel before you receive the physical card, access the app so you can use your membership right away. If credit cards with an annual fee are not your thing, you have other options. Several hotel loyalty programs offer the option to purchase a Priority Pass membership with your loyalty points. Here are some programs that offer this trade. Marriott Rewards: Trade in 20,000 points for Standard membership, 55,000 points for Standard Plus, and 85,000 points for Prestige. Hilton Honors: Trade in 36,500 points for Standard membership, 101,500 points for Standard Plus, and 161,500 points for Prestige. Or you can purchase the membership yourself and earn bonus Hilton Hhonors points. You would get 4,000 points if you buy the Standard membership, 6,500 points for Standard Plus, and 10,000 points for Prestige. In general, we wouldn't recommend trading in your hotel points for this. But if you just happen to have a ton of points burning a hole in your pocket and really want lounge access, you could consider it. Don't forget, you may get lounge access for other reasons too. For example, International First Class or Business Class airfare usually include lounge access. So if you fly a lot for work and often fly Business Class, you probably don't even need this membership. Think of the ways you fly and read the fine print regarding the benefits. If you aren't sure, contact the airlines you fly most often. They should be able to tell you what is included with that pricey airline ticket you purchased. Even if you can't afford a First Class or Business Class flight, it is still possible to experience how luxury travelers live for a day. All you have to do is purchase a single visit pass available at applicable airports. 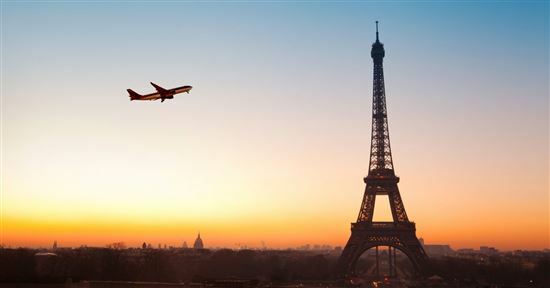 Major airlines such as Delta, American Airlines and United offer single visit passes for $59 per person. Similarly, Alaska Airlines has a day pass for $50 for use at 3 Seattle locations, Los Angeles, JFK, Portland or Anchorage. Passes can usually be purchased in the Club location at the check-in desk. Additionally, United allows you to buy it on their app. Priority Pass and Priority Pass Select have many benefits. Whether you make the most of them depends on your circumstances. How often do you travel? Do you travel with guests? Would you use the lounge? Consider these questions carefully. 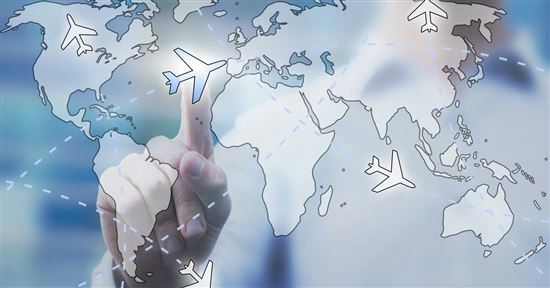 If you have layovers often or you travel for business, chances are the membership is worth it. Whether you pay for the membership or the annual fee for a credit card that offers the benefit is up to you. Credit cards will come with many other benefits as well. If you take advantage of all of them, it'll more than make up for the annual fee. If you travel often, consider the benefits. Do you enjoy quiet time and your own space at the airport? If so, the membership may be worth it. I suggest looking at all of your options before deciding to see how best to spend your money. For more insight, click here to view a video about benefits of Priority Pass membership. For rates and fees of the Hilton Honors Ascend card, please click here. Southwest prides itself on providing customers lots of extras without the extra costs. Here's what you need to know for your next flight on Southwest. JetBlue offers straightforward pricing and baggage policies. Here's what you need to know for your next trip. It's hard to keep up with all the changes around baggage fees. Here's all you need to know about United's baggage fees. 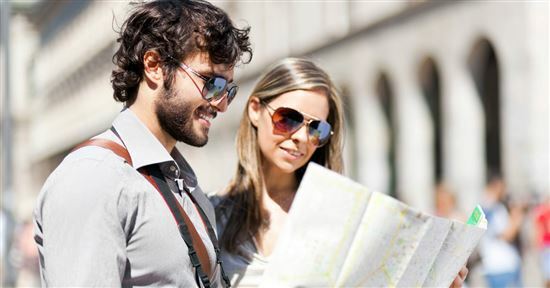 Planning travel with American Airlines? Learn the luggage fees before you take off to avoid unpleasant surprises. We breakdown how much you'll pay and the best ways to save. Like most major airlines, Alaska Airlines charges for checked bags - here's what you need to know before you fly. 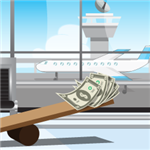 Spirit can be a great budget airline if you know how to avoid the (many) fees. Here is everything you need to know about Spirit fees and ways to save.